I always was a supporter of a Buffing Foundation brush until I discovered how useful a sponge can be when it comes to blending of foundation/concealer/color correctors & other cream based products. A buffing brush is useful for liquid foundations and works like magic with them by giving a flawless airbrushed effect. Sponges, on the other hand, are not good for liquid foundations because they absorb a lot of the product which leads to product wastage and hence we go for synthetic bristled brushes. 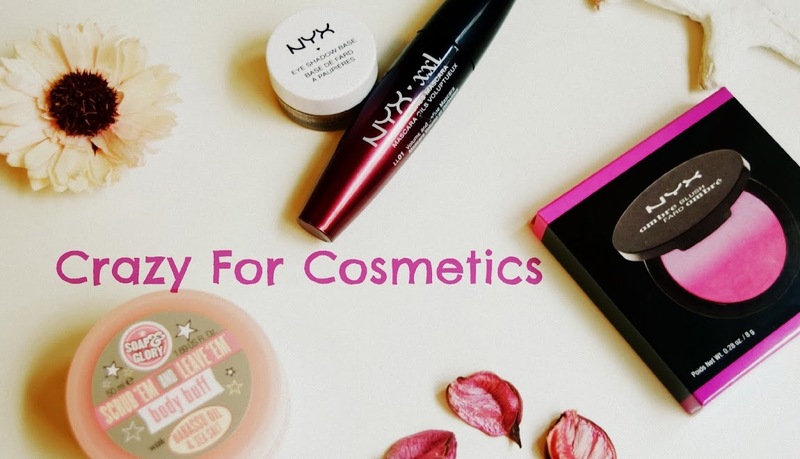 However when it comes to flawless, even, full coverage, and long lasting foundation, it is better to go for cream based ones which require a sponge for blending it uniformly. For cream products, we wet the sponge, blot the excess water and then use it to blend the products. 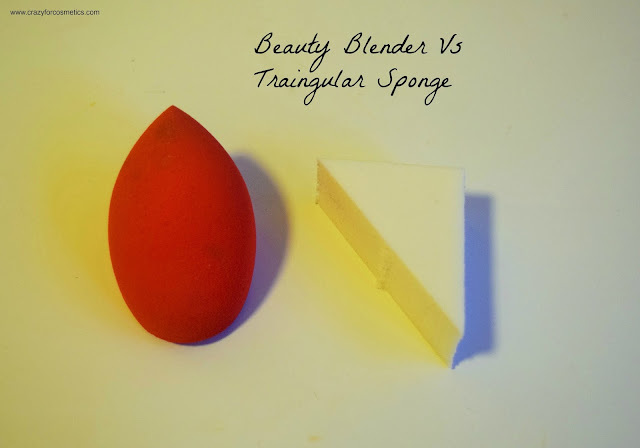 Today's topic is going to be a comparison between a Beauty Blender type of sponge and a Triangular sponge used by professionals.While I was just watching a Paris Haute Couture Show, I noticed that the Makeup Artists were using these triangular sponges and even in my course, I have been given them for blending purpose. This sponge is quite sturdy and can be used well for blending the foundation on the broader areas such as cheeks, forehead, and jawline. The sponge is quite soft as well as sturdy and would last a really long time. It absorbs quite a lot of the product while blending but when washed, it gets completely clean and looks brand new. The sponge does not increase in size while wet and at the same time does not take in excess water as well. The sponge needs to be used in dabbing motion on the skin which gives a more natural airbrushed effect to the makeup for simple evening outings or parties. 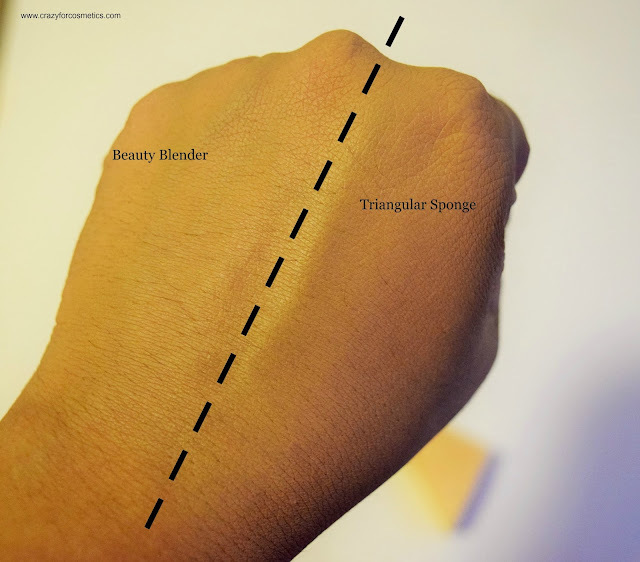 The triangular sponge is really light weight and is very soft on the skin. The sponge is really useful for tiny corners such as the nose corners and under the eyes. It has 4 side corners that can be used for various products like orange corrector, concealer, and foundation. The sponge needs to be sprayed with water and excess water needs to be blotted before blending the products because excess water can remove the product from the face. The sponge needs to be pressed into the skin and dragged slightly down for blending the products which result in a more flawless, heavy coverage finish. Washing the sponge does take quite a lot of time and effort but sometimes the color of the sponge might change even after washing due to the cream based products. 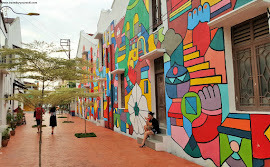 2 : It can be cleaned easily and goes back to the original color once washed. 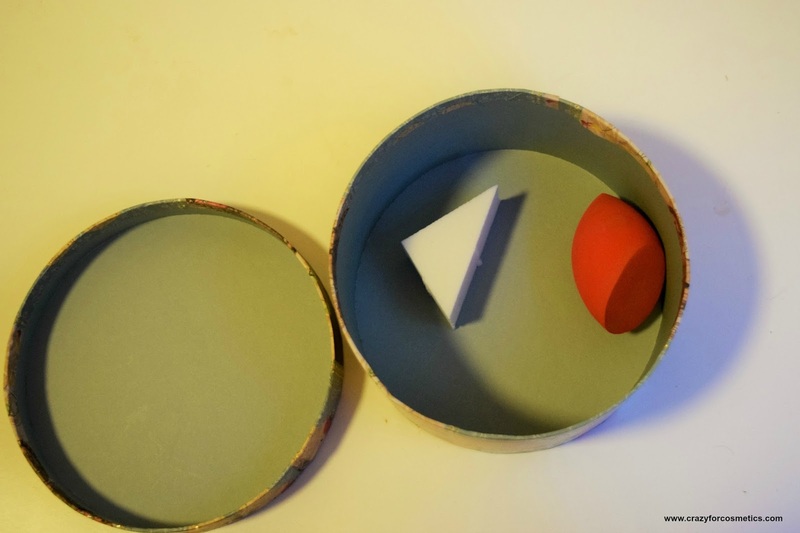 3 : A triangular professional use makeup sponge works on narrow corners on the face. 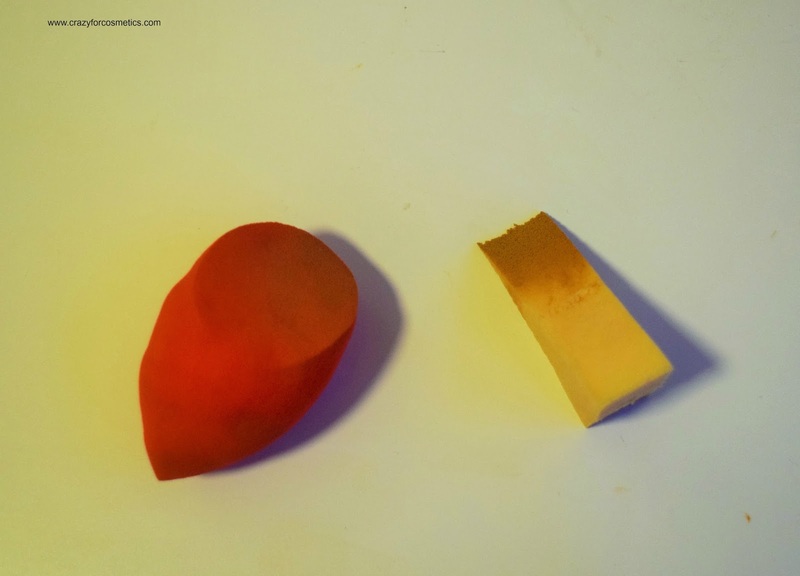 So for a natural finish , I would prefer the beauty blender and for a full coverage finish, I would prefer the triangular sponge.